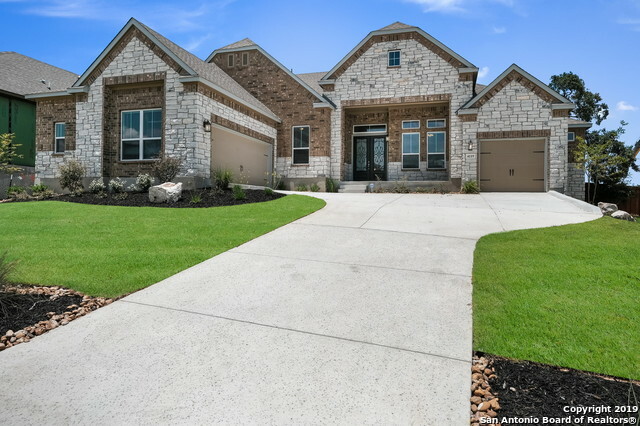 All CIBOLO CANYONS homes currently listed for sale in San Antonio as of 04/22/2019 are shown below. You can change the search criteria at any time by pressing the 'Change Search' button below. "Beautiful Mediterranean w/gated entrance at Palacios. 4-car garage! Walking distance to TPC San Antonio golf course and to neighborhood Community Ctr (large pools, lazy river + fitness center). Chefs kitchen w/Viking SS appliances, over-sized main floor Master bdrm w/large walk-in design, plantation shutters, high end Home Theater. Incredible backyard oasis. 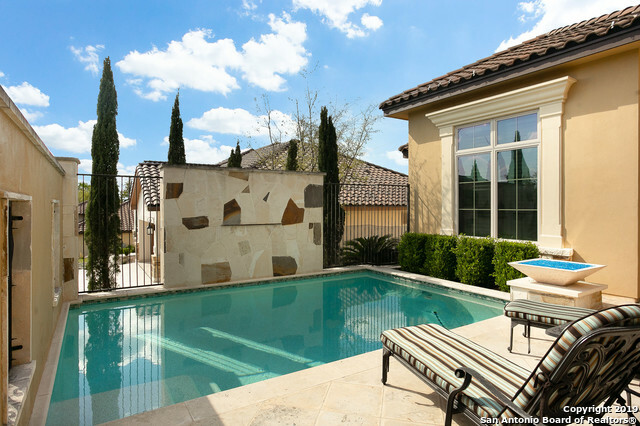 Gorgeous Pool w/auto clean system, Spa + swim up bar! Huge stone patio w/motorized screens, BBQ, outdoor fireplace w/gazebo. NEISD. 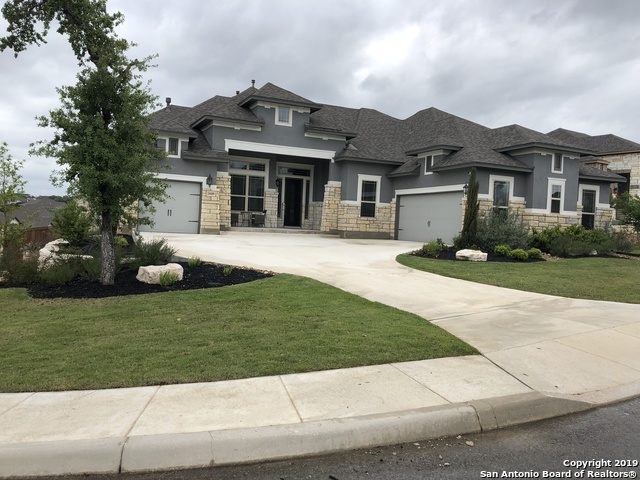 Near a"
"Wonderful custom home under construction by Partners in Building in the golf course community of Cibolo Canyons, home to TPC San Antonio and the JW Marriot. One of a kind home designed by a California Architect with professionally designed interior selections." "New Partners in Building home under construction in the wonderful Golf Course Community of Cibolo Canyons at the Prestigious TPC San Antonio. Home is located on an oversized lot in the Gated Custom section. Fall 2019 move-in." 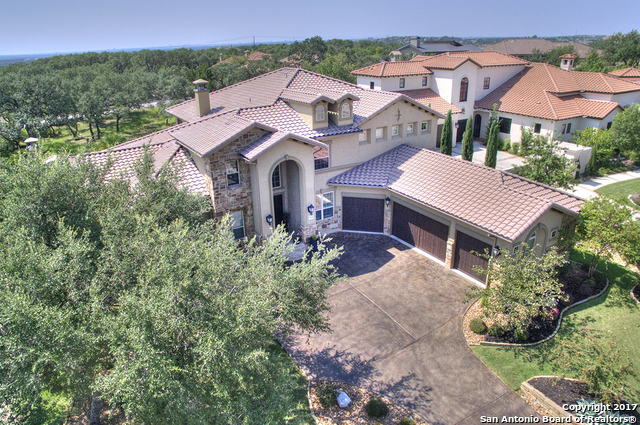 "This stunning 4 bedroom, 4.5 bath family home is located in the highly sought after community of Cibolo Canyons, built by Don Craighead this Mediterranean style 1.5 story home featuring an open floor plan with numerous upgraded interior finishes such as upgraded granite, upgraded tile, wood floors and upgraded appliances! This home backs up to a plush greenbelt that allows maximum privacy. Highlights include a courtyard, outdoor kitchen, and a swimming pool which are must haves with Summer appro"
"Unique custom Exec home in Cielos of Cibolo Canyons. Dramatic iron door entry leads into elegant marble foyer, study & frml dining w/butler pantry & striking wood floors thru-out. Family rm w/cool stone FP & archways open to gourmet island kit with s/s appls, dbl ovens, induction cooktop,granite,cabs galore & lg bkfst area. Mstr retreat bath w/travertine tile, jet tub & 8' shwr w/dual panels. Guest ste down, 2nd mstr up & 4thbdrm w/full baths. Game rm,5th bdrm/office flex up. Cov'd patio & exten"
"Gated Resort Community in prime North Central Location !!. Large open Living w/ 3 Lg Patio slides open to bring the outdoors in. Chef's kitchen, tons of granite, stainless stl appl, & 2 Lg Islands perfect for entertaining. Main Features: Smart windows *Mstr bath Rain Shower * Media suite & Family Rm wired for Surround sound * 3-Car Garage * Indoor Security Cameras * Tray ceilings, art niche's and rounded corners * souring ceilings * Light & bright * State of the art Fire Place *Resort Style co"
"BRAND NEW CHESMAR FLOOR PLAN & SAME AS MODEL HOME! Open concept living at its best - double kitchen island overlooking vaulted ceiling at family room. Master retreat features Texas-sized walk-in shower, freestanding tub & large walk-in closet. Secondary bedrooms down PLUS game room, 5th bedroom and full bath upstairs. Enjoy the outdoors w/floor to ceiling fireplace and covered patio. **PHOTOS OF MODEL HOME, FINISH OUT MAY VARY**"
"Come see a head-turning 4 bedroom 3.5 bathroom modern home. This home has an open concept that welcomes you with granite counters throughout, custom shades, gourmet kitchen with island, Nest thermostat, and designer lighting and finishes. Spend your time outdoors enjoying the greenbelt view, mature live oak trees, lush landscaping, covered patio with fireplace, fully fenced backyard, and additional large deck. This community offers trails and two amenity centers. This is the one you have been wa"
"Your Oasis awaits in this impressive, 5-star home. Featuring an open floor plan, high ceilings,natural light, plantation shutters & gourmet,entertainers kitchen complete with granite counters & custom cabinets. 3 sets of french doors lead to a wrap around deck, sparking pool and gorgeous landscapes.Secondary apartment style living upstairs w/ bedroom/full bath/living and wet bar complete with fridge & disposal.Solar panels,radiant barrier,extra insulation &tankless water heater round out this ef"
"Beautiful 4 bed, 4.5 bath estate! Ideal as an easy care vacation house or as a carefree lifestyle forever home. Perfectly located within walking distance to the JW Marriott Resort and the 2 PGA golf courses! Entertain in style in this magnificent home with rich hardwood floors, gorgeous kitchen with gas cook top and stunning, sleek finishes throughout. Master bedroom and bath with double vanity down and all other bedrooms up with a study and a covered balcony! 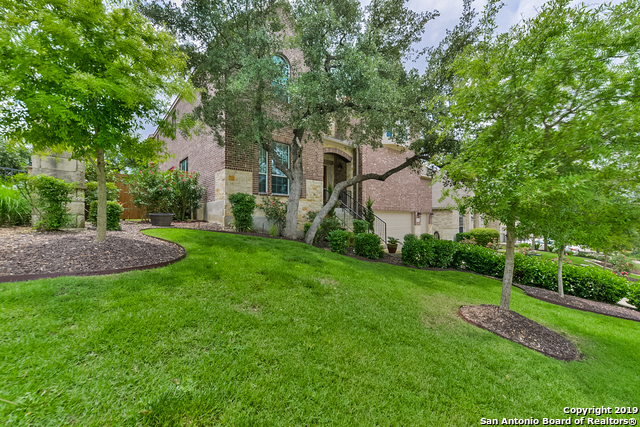 Cozy front and backyards maintained"
"A great home in the Suenos neighborhood of Cibolo Canyons! There is room for all in this home. This home features 5 bedrooms, 3 1/2 bathrooms, a game room, media room, study and a gourmet kitchen. The neighborhood amenities are some of the best in San Antonio. New flooring has been added to the MB, gameroom and secondary bedrooms." "You are sure to appreciate this beautifully updated home that features high ceilings and an open concept floor plan with a large island kitchen. The master suite is on the first floor with a large gameroom and media room upstairs. 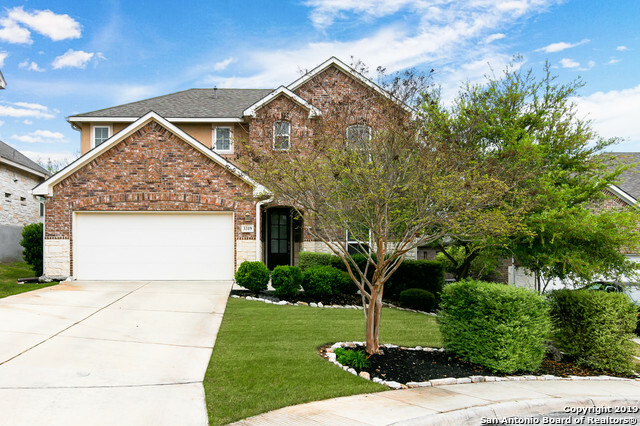 The home is complete with new paint, new carpet, an oversized garage and a beautifully landscaped backyard. Amenities include 2 neighborhood pools, lazy river, kids splash pad, 2 play grounds, soccer field, basketball, and 6 miles of nature trails." 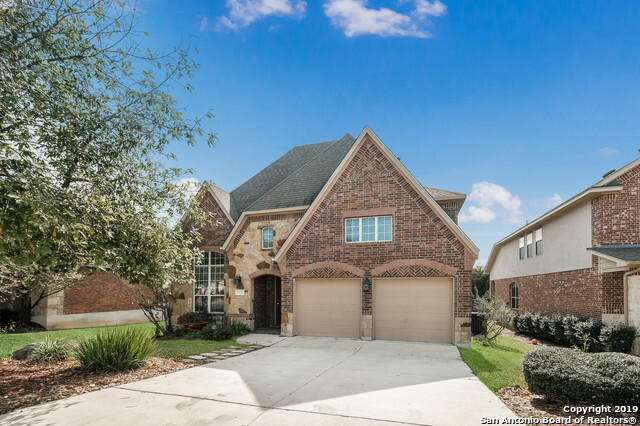 "Beautiful brick/rock home in Cibolo Canyon (The Vallitas). Bright and Open w/hand-scraped wood flrs in main areas, gourmet kitchen w/gas, dbl oven, granite, bkf bar and SS appliances. Study/office w/French doors. Private master retreat down. MBath w/garden tub/sep shower, dbl sinks, huge walk-in closets. Good size bedrooms w/walk-in closets. Game Room plus Media Room. Oversized coved deck. 3 Car Garage. Amenity Center w/lazy river, pool and 24/7 Fitness Center!" "Amazing Home!Conveniently located near JW Marriott resort and Hwy 1604/281.The perfect garden home! Home that features 3 bd and 3 bth, study, a covered patio with a built in outdoor kitchen, 3 car attached garage. The kitchen features SS appliances, marble counters, and custom cabinets. It's an amazing home with backyard facing a green belt and a golf course. Additional features include wood floors throughout the house, stone fireplace, wood beams, tankless water heater. 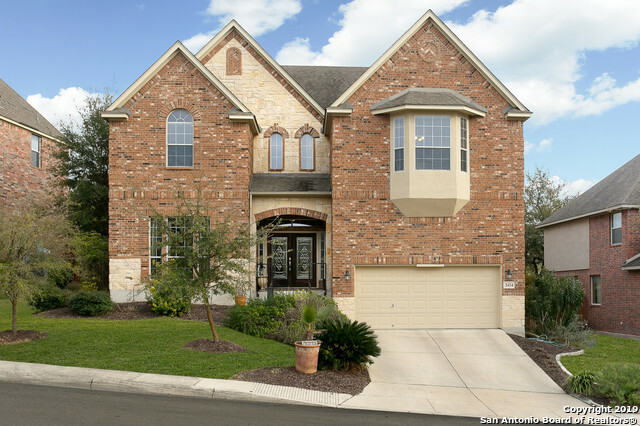 HPGH with solar shingles"
"Beautiful two story home located in Vallitas @ Cibolo Canyons! 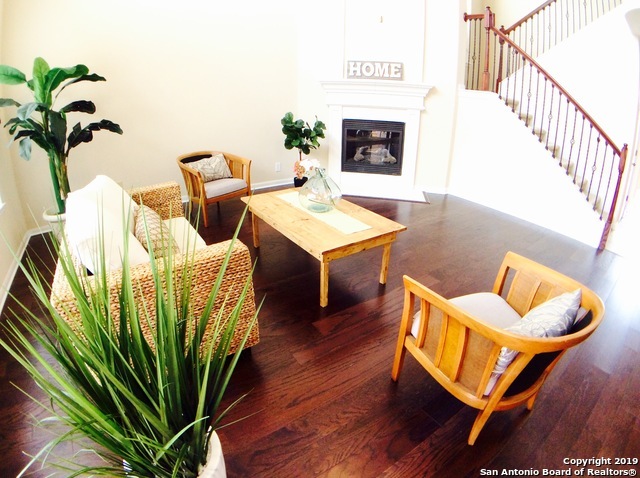 This stunning home features high ceilings, separate dining, SPACIOUS study & open floorplan! Gourmet kitchen w/SS appliances, granite countertops, & gorgeous sliding barndoors! The family room has floor to ceiling stone fireplace! Large Master offers an oversized master bath & large walk-in closet! Upstairs features media room, huge living area, 3 beds! Best amenity centers w/Lazy river, pool, clubhouse, and sports area! 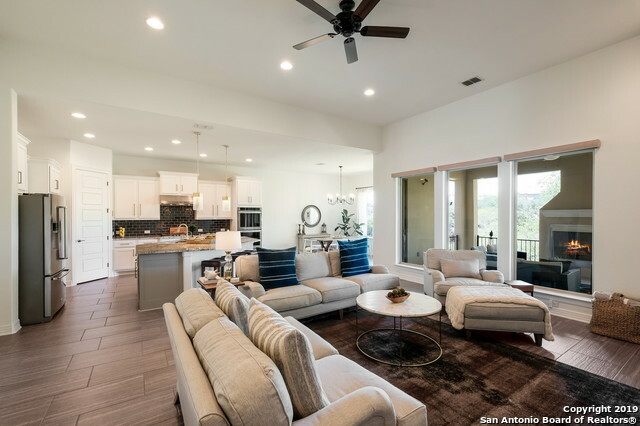 Great NEISD "
"3620sf of living area space! Gated Community. Open floor plan. Big Island in Kitchen. Double Ovens. Beautiful Granite countertops. Stainless Steel appliances. Gas Cooking. Formal Dining Room. MASTER Down. Huge Gameroom upstairs. Theater Room for great movie and sports watching. Office upfront. Front porch to relax on. Big covered patio in back, great for entertaining. Sprinkler System. Near TPC Golf Course and JW Marriot. Great Schools. Major Shopping nearby. A MUST SEE!" 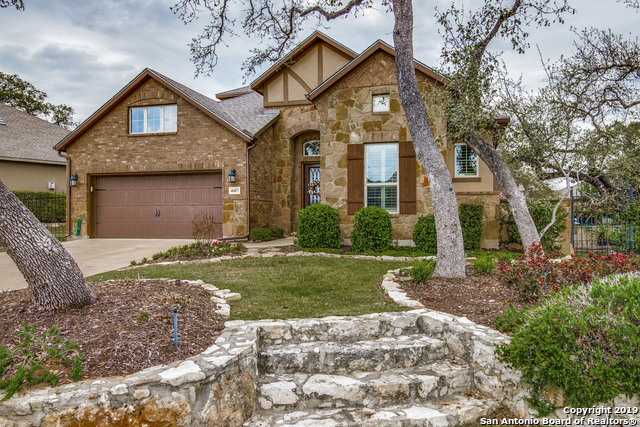 "A Great Place to Call Home Sought after Gated Cibolo Canyons/Vallitas. 2 Story 4Bedrms w/ 3.5 baths, Open Floor Plan, 3 Living Areas: Family Rm High Ceilings, Loft & Media/Game Rm up, Study, Formal Dining, Gourmet Kitchen w/ Island Built-in Appliances,Breakfast Area, Pantry. Spacious Master Retreat Down. Johnson HS NEISD, One of a kind Amenities Resort Style Living, 3 Pools - Lazy River/Jr Olympic/Kids Splash Zone, Clubhouse, Fitness Ctr, Park/Playground & Sports Field, Newly installed Hardwood "
"Gorgeous 4 bedroom, 3 bath in highly desirable Cibolo Canyon/Ventanas, near TPC golf course & JW Marriott. Interior features include open floor plan, tons of natural light, kitchen w/ light granite counter tops, SS appliances, gas cook top, breakfast bar, built-in oven & microwave. Rock fireplace in living room plus separate study. Master bdr downstairs with separate shower and garden tub. Upstairs large media room. Backyard oasis large breathtaking patio deck overlooking green belt. 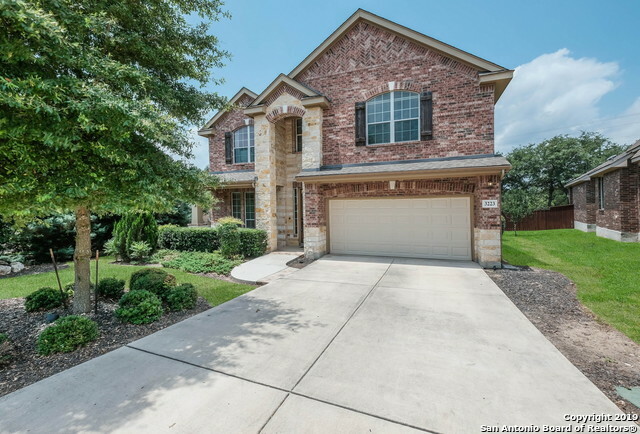 BUYERS GO"
"Beautiful 4 bed 3.5 bath home on cul-de-sac lot in Northeast ISD! This premier Gated Community is the home of the J.W. Marriot Resort & Spa with two TPC championship golf courses & fabulous amenities that include a private waterpark, fitness center, & playgrounds. Open plan w/gourmet granite island kitchen, dual ovens, gas range & family room fireplace. Spacious master suite w/ walk-in closet, dual vanities & garden tub w/ separate shower. Build San Antonio Green Certified! Save up to 40% on ut"